In China’s new year, elders give the money to children hoping to pass on a year of good fortune and blessings, and the younger generation give the money to their elders as a blessing of longevity and a show of gratitude. In a country where 95 percent of its internet users mobile device to access the internet, more and more people send their red envelopes to their relatives and friends through WeChat, making into a game of who can open them the fastest. The stroke of midnight rang in the Lunar New Year. 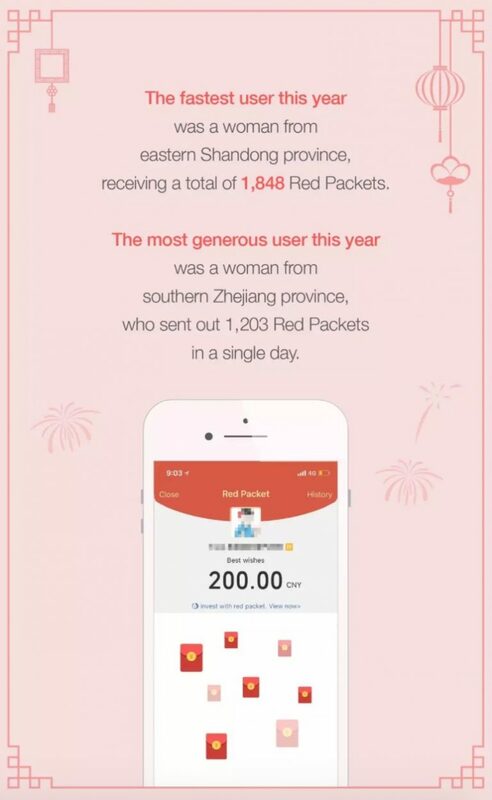 At the same time, a shower of red envelopes filled mobile screens across every part of China. 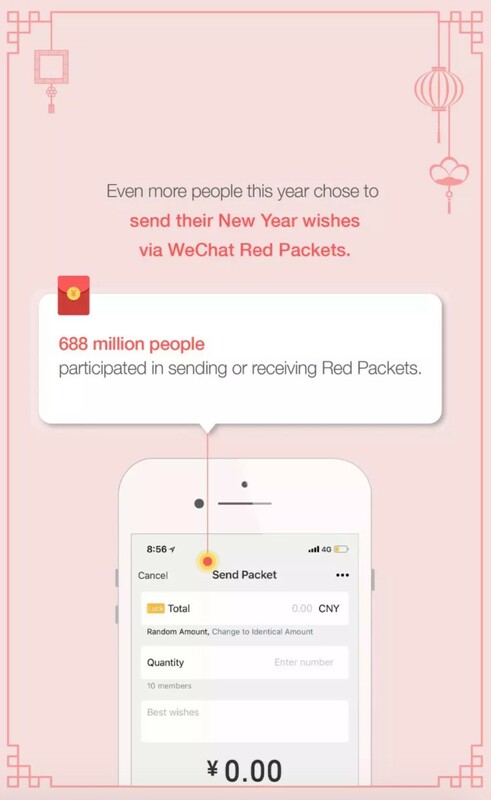 New Year’s Eve (除夕 chuxi), the day before Spring Festival (春节 chunjie), is the peak time to grab red envelope (红包 hongbao). 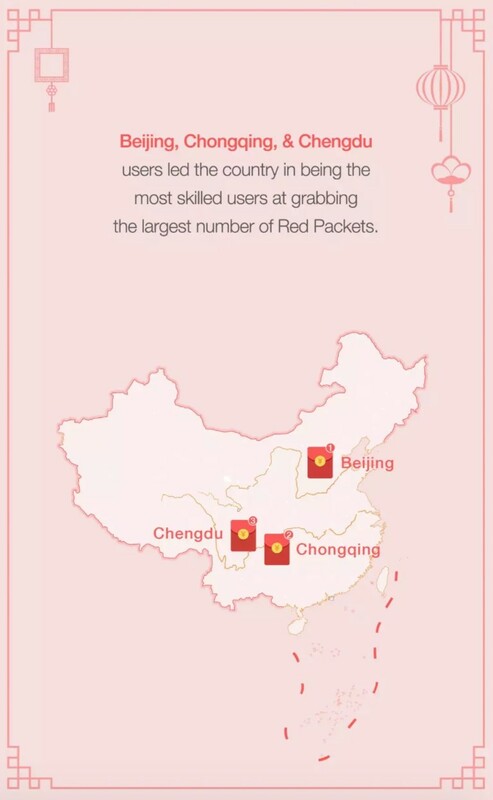 There are even tactics to grab hongbaodepending on which phone you use. 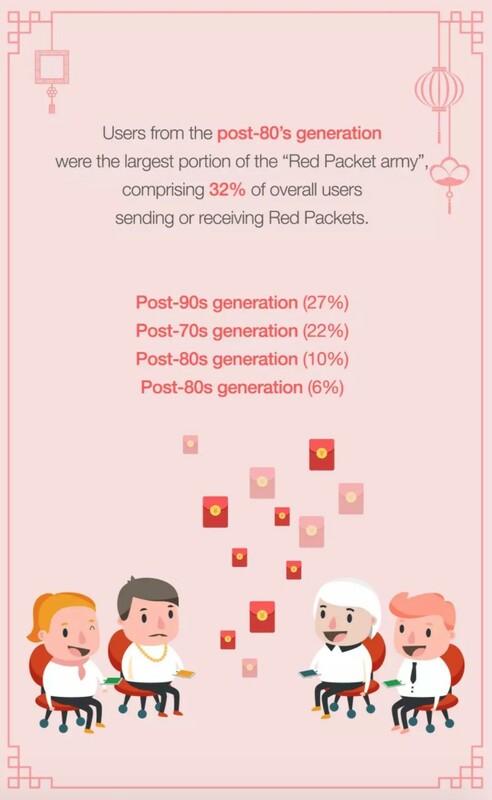 In all age groups, users from the post-’80s generation (those born in the 1980s) were the largest portion of the “Red Packet army,” comprising 32 percent of total users, sending or receiving Red Packets. Post-’90s, post-’70s followed the ranking, comprising 27 percent, 22 percent, respectively. 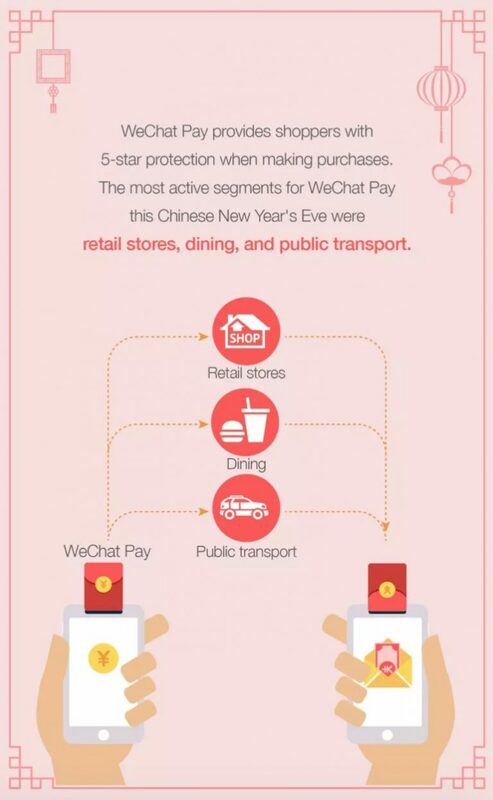 The report also tracked how users spent their time during the New Year’s Eve through their purchases. With an attempt for Tencent to keep its first place in hongbao war, WeChat Pay also announced hongbaoraffles throughout the seven-day Spring Festival holiday. Stay tuned to see who won the 2018 hongbaobattle as the Spring Festival comes to a close.